Johanan Dujon, one of the winners of the Commonwealth Youth Awards 2019 is the founder of ‘Algas Organics,’ the Caribbean’s first indigenous biotechnology company.Prior to embarking on this initiative the 26 year old St Lucian was a physical education teacher. However almost four years ago, he embarked on a journey to turn sargassum seaweed into fertilizer. The foul smelling brown algae which washes upon the beaches in St. Lucia has been putting the livelihoods of fishermen at risk. Staphon Simon, 22, a Correspondent from St. Lucia, has been talking to this young visionary and entrepreneur. What are the detrimental effects of sargassum seaweed on small island developing states? Sargassum seaweed, first of all, is an invasive plant species that originates from the sargassum sea and now, also, originates from what is called the North Equatorial Recirculation Region (NERR) which is north of Brazil. Sargassum is not a harmful thing, it floats by, it creates a habitat for marine life [and] protects different species from predators. However, [the influx of seaweed] in small island developing states has tremendously affected our [fishery] industries. For instance, in St. Lucia, since fishermen are going out right next to where the sargassum is the fish catch is a lot smaller. Fishermen are getting juvenile fish catches which may lead to [issues] down the line as the fish do not get a chance to [grow] and spawn.When [the] seaweed comes into a bay it blocks up access to the fishermen’s vessels.This basically increases unemployment, [as] fishermen have a real issue getting on their boat to go out to fish; and, [if] they do get access [to their boat], there’s difficulty of landing his catch as [the fishermen] have to swim through tons of seaweed to try to get the fish to shore. Fishermen notoriously do not have insurance for their vessels. This issue is exacerbated by the fact that sargassum seaweed can destroy their motors which cost anywhere from EC$28,000-EC$100,000. How has your company attempted to rectify the issues borne from this seaweed epidemic? Our real objective was to develop sargassum seaweed into fertilizer so that we can make it sustainable; and also to develop proof of concept that the sargassum seaweed influx can be managed. We have been able to prove, I would say, on an international level that with the right resources sargassum can be managed. We have been able to do more than manage it but [have also influenced] farmers, landscapers and gardeners around the Caribbean and now northern parts of North America to choose [Algas Organics] over international brands, because of the story of [Algas] and its efficacy.What we have created is a model and proof of concept that is scale-able and that we will scale throughout the region to really alleviate that issue on an international or inter-regional level.We have been able to do that successfully to date in terms of processing three (3) million pounds of sargassum. For January alone we collected 40% of what we have collected over all the years we have been in [operation]. Professor Hazel Oxenford from the University of the West indies said the sargassum seaweed came as a ‘complete shock’ and no one knew what to do with it.What led you to such as ingenious solution? [Chuckles] Sargassum seaweed chose me, I did not choose it. I was over at a friend’s house and the news comes on, and it said sargassum is ruining the costal areas and a simple comment [was made] “why don’t people use seaweed as fertilizer”, just a simple comment as that was made that night. I left that place inspired. Days on end I could not sleep, I felt a serious tugging that would not go away, and that tugging was “go and get a van load of sargassum”. At the time I was a physical Education teacher. I only studied Biology up to secondary school. I had no business even attempting to [take up this initiative] …[but], if you are crazy enough to believe something can be done and you convince yourself that it can be done, then it can probably be done and everybody else will come along after. When people were saying this [could not] be done, I was experimenting with sargassum seaweed because I had a very strong hunch that something could be done with it. I turned out to be correct and I attribute that to God. God opened my eyes to the possibilities of what sargassum seaweed could really be used for and that I think is the differentiator why I took a step while everybody stood back and watched.I may not know what I am doing… but I will tackle this I will fail one hundred times but eventually I will figure out what to do correctly to take it to the next level, while everyone sits down looking at it. What are your thoughts on being one of the finalists for the Youth Commonwealth Award for 2019?It’s humbling, I do what I do, not for accolades. Somebody asked me recently, if a company acquires Algas what would I do? I said, “man I have not thought of that yet, I love what I do, I wake up every morning with great enthusiasm to tackle it.”I am doing this out of love and for building a legacy for Caribbean innovation. For this [initiative] to be recognized on this level is humbling. It just gives me the added morale, joy and drive to bring some things to pass. I think that, if nothing else, people who are way more intelligent than I am – because we have millions of them, can see that tackling a huge issue like this head on is possible. When they see what we’ve been able to achieve and the recognition that we’ve been able to garner doing that, I think, it may create a path for other innovators to come through. All I will say, it’s a real honour and privilege and gives all of us the impetus to keep going. The Commonwealth Youth Awards for Excellence in Development Work highlights the contributions of young people who are making a difference in their communities and celebrates their contributions to the Sustainable Development Goals (SDGs). 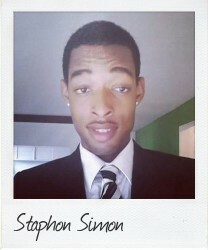 About Commonwealth Correspondent, Staphon Simon: I am a student at the University of the West Indies pursuing my BSc in political science and law. My ambitions are not too grand, if I may say so myself; I intend on becoming an attorney at law and someday open a clinic to provide legal aid to individuals who cannot afford proper assistance. Additionally, I intend if so chosen to represent my constituency within government and help formulate true Commonwealth legislation to benefit the people.